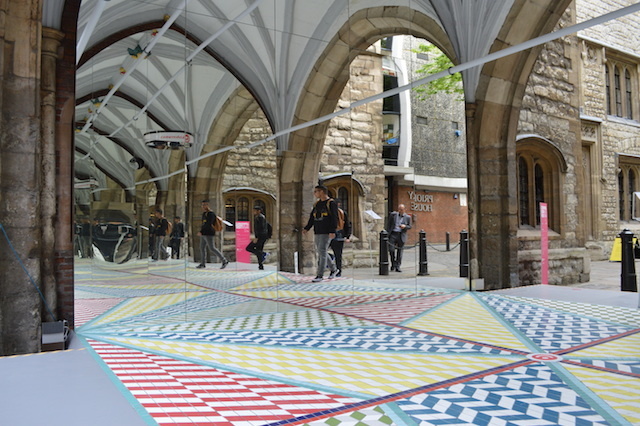 St John's Gate goes infinite as part of Clerkenwell Design Week. Image, M@. Mayor's office gets £75m bill for Sony warehouse fire during riots. Pensioners attacked in East Ham and Woolwich Arsenal. A friend of Stephen Lawrence calls for random knife-checks on pupils. Huge One Nine Elms development will be more hotel, less office space. London's top ten steps and staircases. Clueless jewel thief leaves photo of himself at crime scene. Vice reviews UKIP's Croydon Carnival. The rise of the WILLIEs (Work in London, Live in Edinburgh). The tube cost time machine. The BBC interviews 'the loo lady', who offers tours of the capital's bogs. Sad news: we hear that the North Pole pub on the Isle of Dogs is due to close on Friday. Recent local demolition and developments have ruined their trade.